A challenger appears in the competition for the title of World’s Most Unreadable Timepiece, a competition that no one in particular asked for nor wanted. 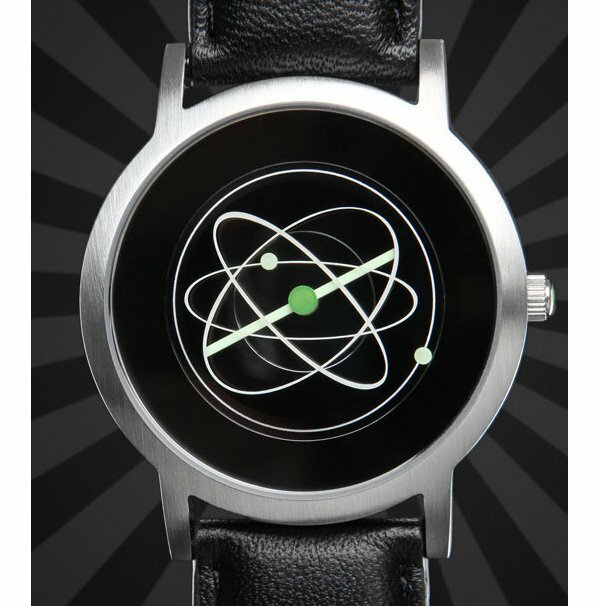 When I first saw the Atom Watch I was so sure that this was from those crazy designers at Tokyoflash. 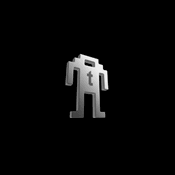 But apparently, not only is this not from Tokyoflash, it also seems even harder to read than the company’s take on an atomic-themed watch. According to the product page, the hour and minute hands of the Atom Watch follow the path of the electrons, while the second hand “originates” from the nucleus. Yeahhhh…nope. Don’t get it. I miss school. Oh wait! It’s that smaller circle that indicates the minutes, while the ellipses are the second hand. Is that it? Dammit. 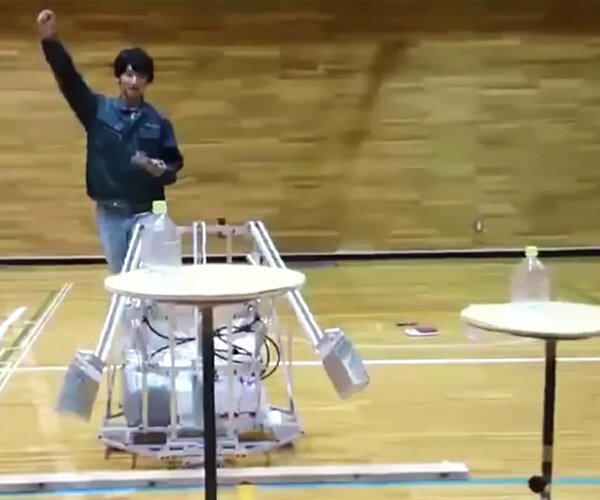 I wish there was a video of this thing in action. …and that picture does not help at all. The watch is clearly on a right hand, but it’s worn lefty style. Unless this person has two thumbs on his left hand. Or that’s actually a middle hand. I don’t know. 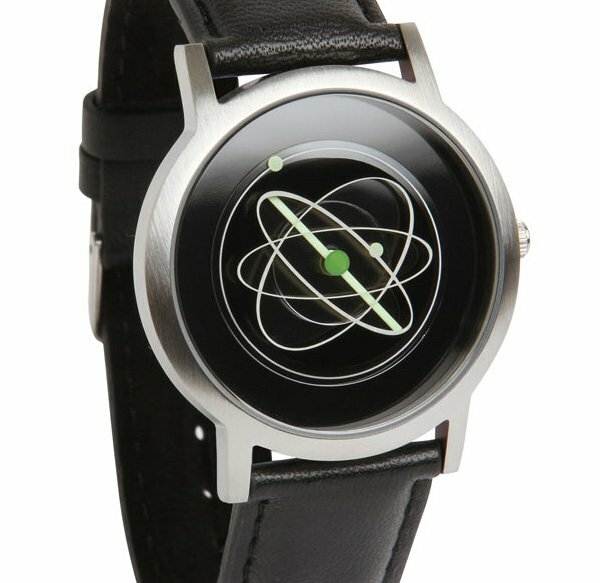 Freakin’ Atom Watch, how do you work? Someone get one from ThinkGeek for $120 (USD) and figure it out. 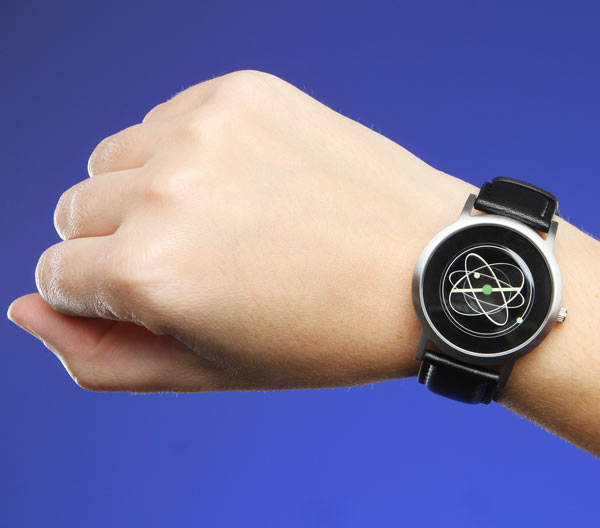 Buy several and you can make a molecule watch. Sorry. Couldn’t help it.